Via Dallas Police Department / Facebook. 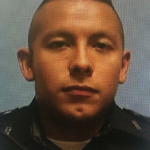 Rogelio Santander, 27, died a day after being shot at a Home Depot in northeast Dallas. 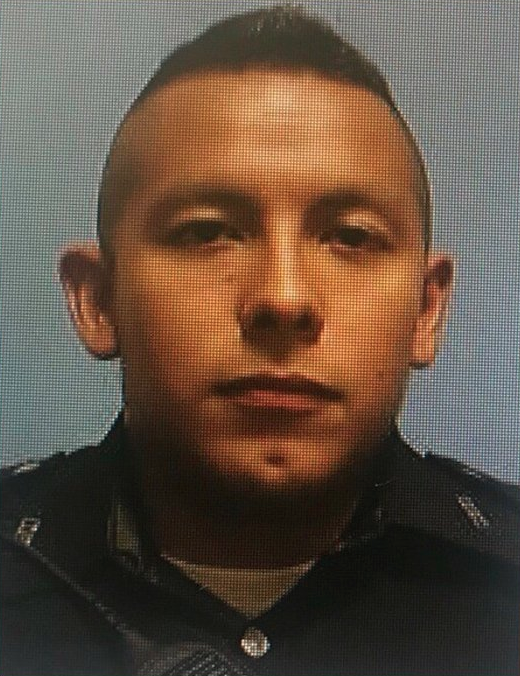 Rogelio Santander, 27, one of two Dallas police officers shot Tuesday, died Wednesday morning, Mayor Mike Rawlings said. The other wounded officer, 26-year-old Crystal Almeida, remains in critical condition at Texas Health Presbyterian, Rawlings said. This photo of Rogelio Santander circulated on social media. The Dallas Morning News reported that a third person shot, a Home Depot loss prevention officer named Scott Painter, also remained in critical condition. Santander and Almeida, both three year veterans of the department, were shot Tuesday afternoon responding to a call at a Home Depot in Lake Highlands. Rawlings said that Santander died shortly after 8 a.m. The mayor stopped this morning’s City Council meeting to share the news, and to hold a moment of silence. The flags outside City Hall were being lowered to half-staff. “They are still in critical conditions, but we are optimistic about what we are seeing with them right now,” she said. Hall asked for prayers for the slain officer. Armando Luis Juarez, 29, was arrested Tuesday night after a manhunt and charged in the shooting. He’s being held at the Dallas County Jail with bail set at $1.1 million.